Home > About the Institute > Meet Our Doctors > Todd C. Morehouse, D.O. Dr. Todd C. Morehouse is a Board Certified Otolaryngologist and an attending surgeon at Abington Surgical Center, Blue Bell Surgical Center, Chestnut Hill, Einstein Medical Center Montgomery, Mercy Suburban as well as Roxborough Memorial Hospital. He is also an affiliate staff member at Abington Memorial Hospital. He graduated from Muhlenberg College where he established and served as president of the Muhlenberg Premedical Society. Upon completing his residency at Philadelphia College of Osteopathic Medicine, Dr. Morehouse received an award for excellence from the American Osteopathic College of Otolaryngology. 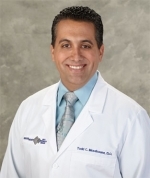 He trained in all aspects of general and pediatric otolaryngology, including endoscopic sinus, otologic, head and neck, and facial plastic surgeries. Dr. Morehouse is a member of the American Osteopathic Association, American Medical Association, American Osteopathic College of Otolaryngology and the American Academy of Otolaryngology. He serves on the board of Roxborough Presbyterian Church and participates in many local, state and civic associations. For his active role in Philadelphia community service, Dr. Morehouse was honored with the 2005 City Avenue Physician's Scholarship Award for ENT.